It’s clear we’re already entering what is going to be a very long election campaign in the run up to May 2015. In the housing policy field we’re seeing plenty of organisations pitching ideas at the moment, with the aim of influencing the content of the manifestos for 2015. But we’re also seeing thinking aimed at shaping the programme for government post-election, whichever flavour of government we are landed with. All the parties are ostensibly signed up to the idea that we need to increase housing supply dramatically. So setting out the steps likely to be needed to achieve that objective is a worthwhile exercise. Enter the novel partnership of KPMG and Shelter. Last week KPMG/Shelter published Building the homes we need: A programme for the 2015 government, which offers their perspective on the actions required. 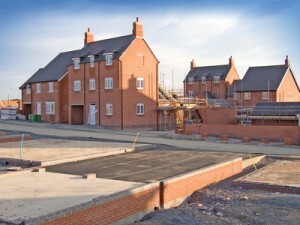 The main messages are: first, the sorts of policy measures that have been put in place since 2010 are inadequate to the task; second, there is no simple solution that will deliver a doubling of annual housing supply; and, consequently, what is required is a comprehensive, multi-stranded approach that addresses some of the fundamental characteristics of our housing supply system. I’m not going to review the document in detail. Jules gave a quick overview on Thursday. It is well worth reading the document in its entirety, if you get the chance. I just want to make a couple of observations. The document’s significance for me is not so much in the individual policy measures it sets out. Few are genuinely new – most have been circulating in the ether for a while. Nonetheless, bringing these measures together into one programme, with emphasis upon both an overarching vision and place-based leadership, is a valuable step. Perhaps equally important is the attempt to bring some reality to the discussion of currently-favoured policy approaches – in particular, on the likely limited short term impact of new towns. Similarly there is value in an unashamed argument that we are going to have to spend more on housing in the short term to save money in the longer term. But more important, in my view, is the overall framing of the argument. For policy to achieve the agreed objective we are going to have to break in to the vicious circle at several points, rather than expecting a single intervention to deliver. The report rejects the standard prescription that planning liberalisation is key to solving the problem, although it does argue for Green Belt land swaps. 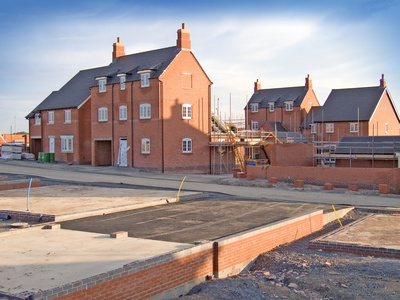 Rather it argues that more fundamental reforms focused on the land market and the house building industry are going to be needed if we are going to tackle the perverse incentives engrained in the current system. And that is the only way we are going to come anywhere near achieving the future output levels required. Much of the emphasis of the report is upon localism, but the authors argue for the introduction of national minimum standards. This would remove the option of cramming sites to try to compensate for over-bidding for the land. It would also, it is argued, increase the willingness of communities to accept new development because there would be greater confidence that new development would be of higher quality. I suspect there is something in that argument. In setting out their programme for government KPMG/Shelter demonstrate quite how far we need to travel if we are going to make a meaningful dent in the problem. And the report alludes to the need for further reform elsewhere – in the housing finance market, for example. It feels to me like this report has got the orders of magnitude right. This is the terrain on which the policy debate needs to be happening. Change on this scale, and on this many fronts, is going to be required. So it invites policy makers to show considerably more ambition than has been characteristic of late. We have to hope that this is an invitation that someone is going to accept, because the report also gives us a reasonable feel for how the situation will continue to deteriorate, should decisive action fail to materialize.